Your phone deserves to be protected in style with a Custom Pixel 2 Case. With MyPersonalisedCase.co.uk, your phone will stay as good as new, for longer. What are you waiting for? Make your own personalised phone case by picking the type of case you need, upload your favourite picture and adjust it on the case, add some text, a sticker and some effects. You are done! It is as simple as that. You will bring your favourite memories, wherever you go. 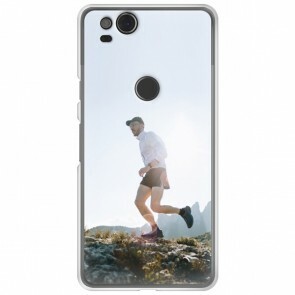 Design your own Custom Pixel 2 Case! You won't be disappointed. Are you sure you have the right model? We also offer Custom Pixel 2 XL Cases!